When doing a build like this a few things need to be considered and rectified prior to doing this build. There were small differences between the older ford 302’s and the newer EFi ones. These are the things to notate and fix. The intake manifold needs to be swapped for a carburetor model. You need a new dipstick for the timing cover. 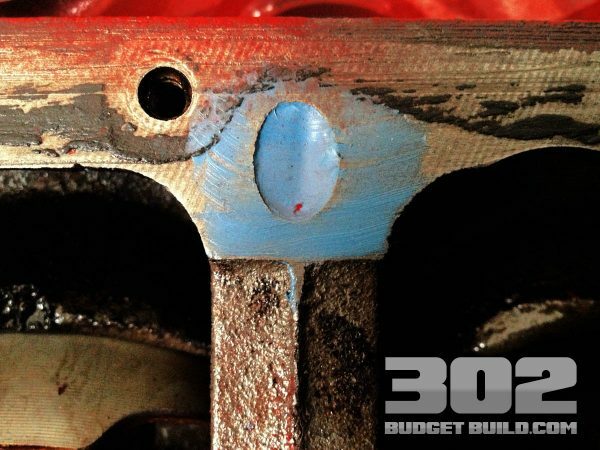 The rest of the items you see are pretty straight forward when it comes to building your new 302. Email me with any questions. I will help. 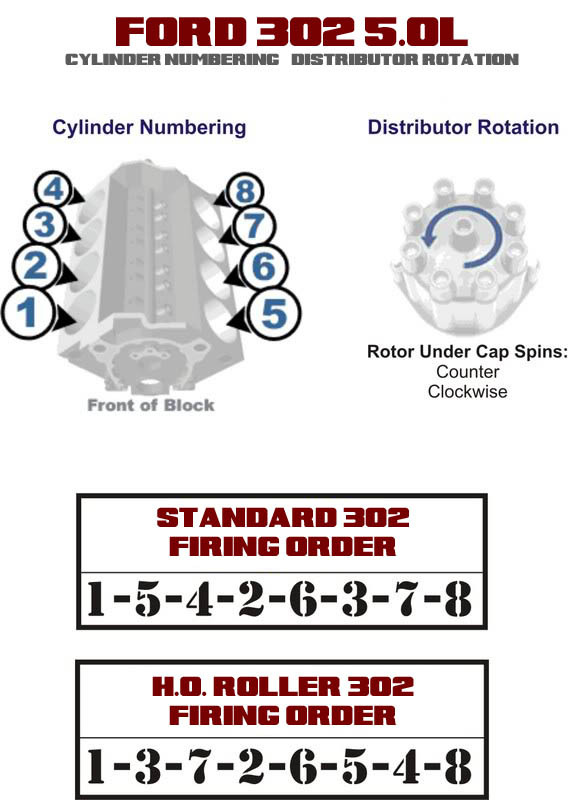 Use these torque specifications as a reference when building your budget 302. When using ARP bolts, follow their specifications always. Main Caps Engine Oil 70 ft-lbs. Outer Main Cap Bolts Engine 40 ft-lbs. 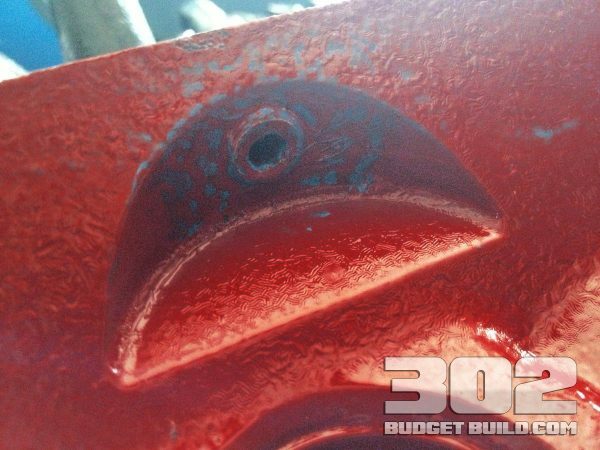 Connecting Rod 260, 289, 302 Engine Oil 25 ft-lbs. Cylinder Heads Use Sealer 70 ft-lbs. Rocker Arms Engine Oil 20 ft-lbs. Oil Pump Engine Oil 25 ft-lbs. Oil Pan Engine Oil 15 ft-lbs. Camshaft Thrust Plate Thread Locker 10 ft-lbs. 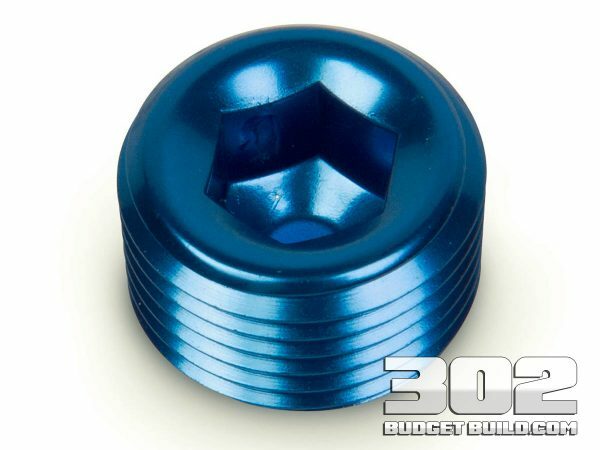 Cam Bolt (upper gear) Thread Locker 40 ft-lbs. Front Cover Engine Oil 20 ft-lbs. Intake Manifold w/ GT40 Non- Hardening Sealer 25 ft-lbs. Valve Cover Engine Oil 10 ft-lbs. Flexplate (Automatic) Thread Locker 85 ft-lbs. Flywheel (Clutch) Thread Locker 85 ft-lbs. Clutch Pressure Plate Thread Locker 35 ft-lbs. Center bolt (Harm. Balancer) Thread Locker 90 ft-lbs. Bellhousing Engine Oil 25 ft-lbs. This image is fairly common around the net but is a good reference. You may use the image however you like. These are the steps I take to plug the engine block dipstick hole. This method works and is very inexpensive. This method is permanent and never leaks. This is a brass NPT 1/8″ plug. Tap the threads and set the plug with RTV on the threads. After, turn the block over and add RTV sealer into the hole and feather out to make a clean finish. DO NOT: Use a cork, wood, or any other foreign materials. Use a plug and do it right. This is the 1/8″ NPT brass plug used to plug the existing oil dipstick hole. After setting the brass plug into the hole, add and feather blue RTV on the underside of the block to guarantee a perfect seal.